Batu Feringghi is indeed an ideal place for a great relaxing vacation, nothing but a getaway from cities, exclusively for urbanites. 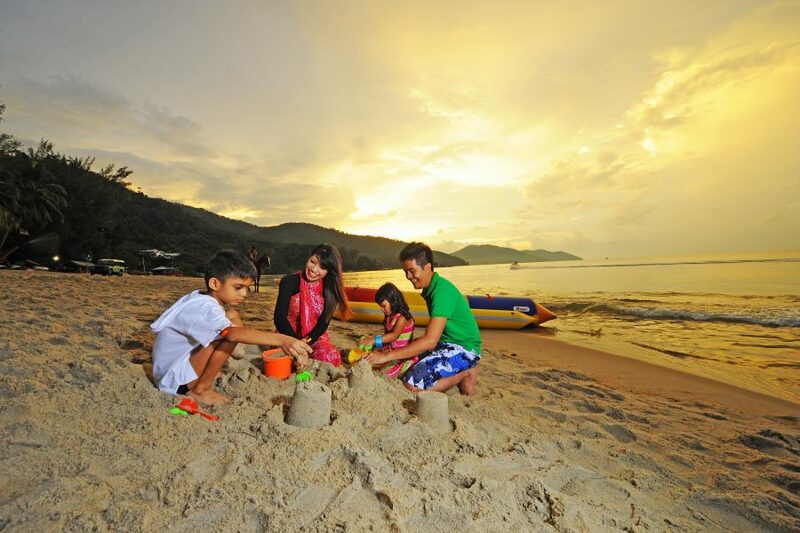 There are a lot of activities that can be done during the visit to Batu Feringghi. They are mostly water sports activities, such as canoeing and sailing. Apart from them, one can experience horse riding along the beach or just simply strolling and enjoying the cool breeze. Feringghi Garden is the best place to dine in for all visitors. This restaurant has been the talk of the town for months. The environment is romantic with interesting outdoor sitting. The food offered is capable in tantalizing your taste buds and the prices are affordable. 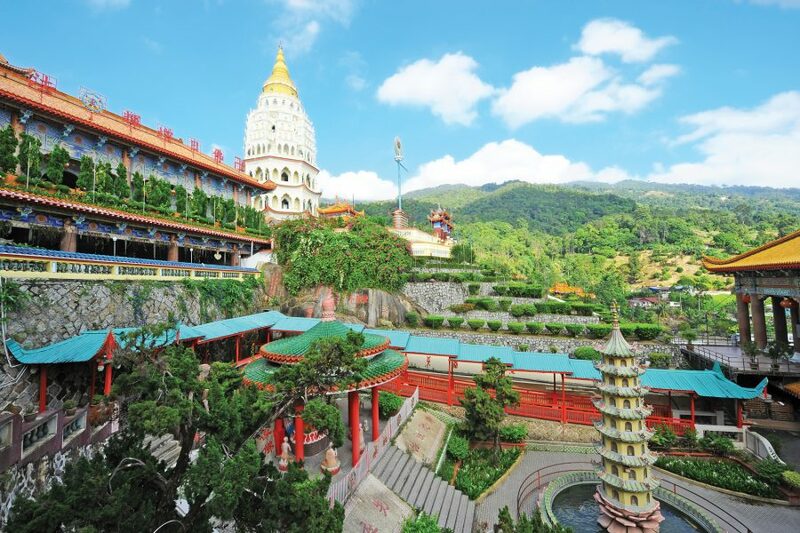 The biggest temple in South East Asia Kek Lok Si Temple or the Temple of Supreme Bliss is located in Ayer Itam, Penang, Malaysia. Ayer Itam is one of the suburbs in Penang. The temple is standing on the hill of Ayer Itam known as the Crane Hill or He San. Being the biggest and most beautiful Buddhist temple, it is always filled of crowds of tourists who came all over the world and also locals who want to make offerings. 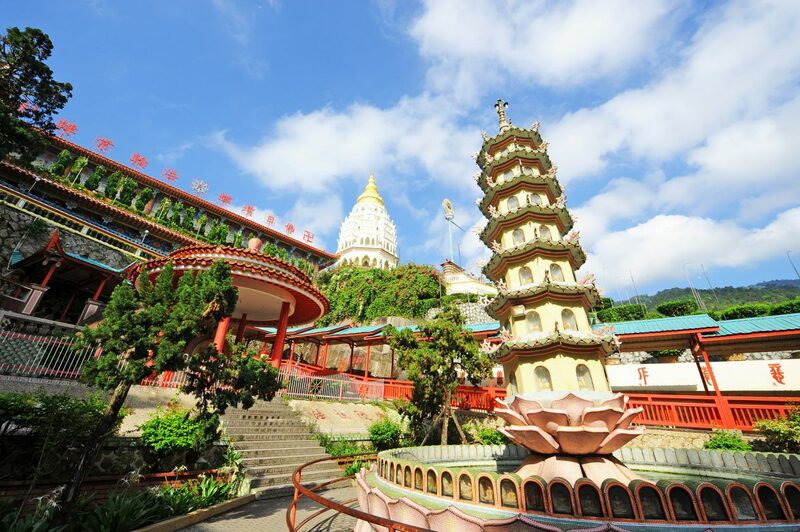 The temple was first built around three decades ago, and it is inspired by the chief monk of the Kuan Yin Teng Temple, another well known temple located on Pitt Street. There are two main attractions of the temple. Firstly, it is none other but the huge bronze statue of the Goddess of Mercy Kuan Yin. The next attraction is the pagoda with seven storeys. You can take the incline lift all the way up to get a close look of the mesmerizing Goddes of Mercy’s statue. 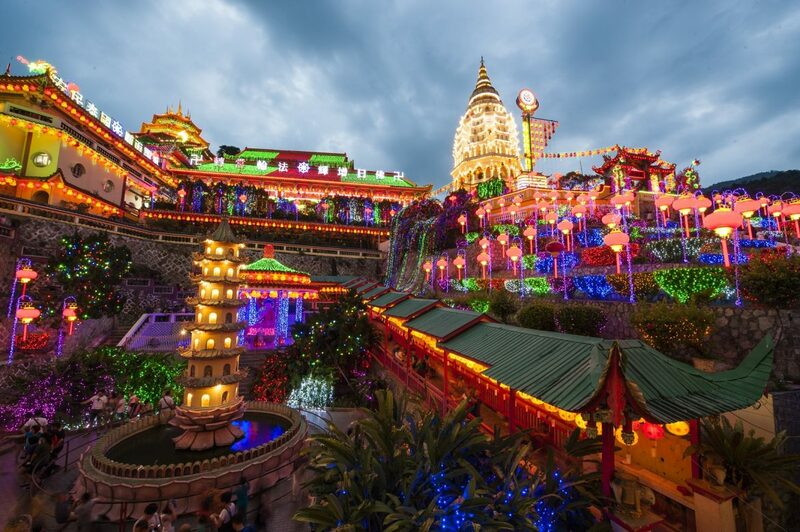 The best time to pay a visit to this amazing Buddhist temple is during the Chinese Lunar New Year. During that time, the temple is filled with pretty lanterns and glittering lights. This fantastic view can be seen clearly from Penang Hill. Penang Hill is located in Ayer Itam, Penang, Malaysia. The hill is situated about 6km away from the city centre of Georgetown. It is a hill resort that consists of a group of peaks. It is 830 meter high and is cooler than the city beneath it. It is said to be approximately 3 degrees cooler in comparison the places near to coast. Penang Hill is also known as Bukit Bendera in Malay Language. It is the getaway from the concrete jungle in the hustle bustle of the city of Georgetown. Penang Hill is Malaysia’s first hill station. It was discovered by the legendary Francis Light when he commissioned the area to be cleared for plantation. Most tourists visit the hill as it offers serenity and tranquility with mesmerizing view of Penang and friendly nature. 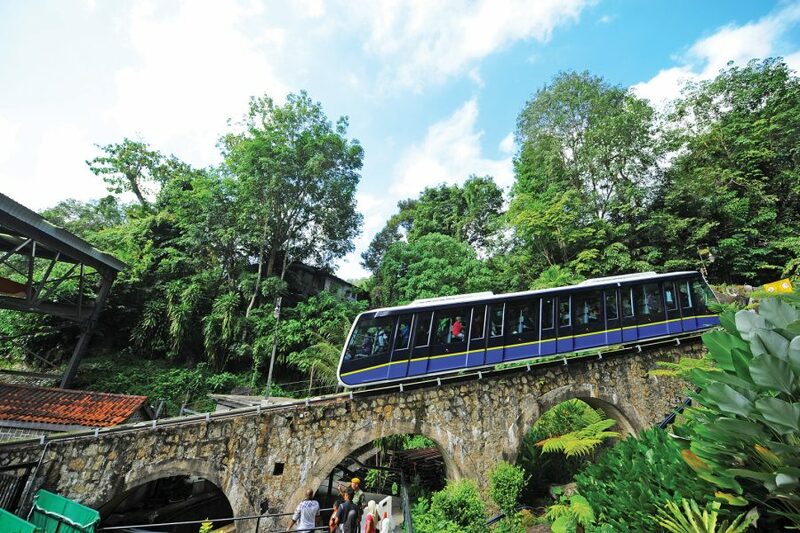 There are quite a number of activities that can be done on Penang Hill. You can spend some time to get a taste of the diversity of Malaysian’s cultures by visiting both mosque and Indian temple on the hill. There is a bird sanctuary and a canopy walk up there too. If you plan to spend a night or two on the amazing hill, there are bungalows available for rent with affordable price. 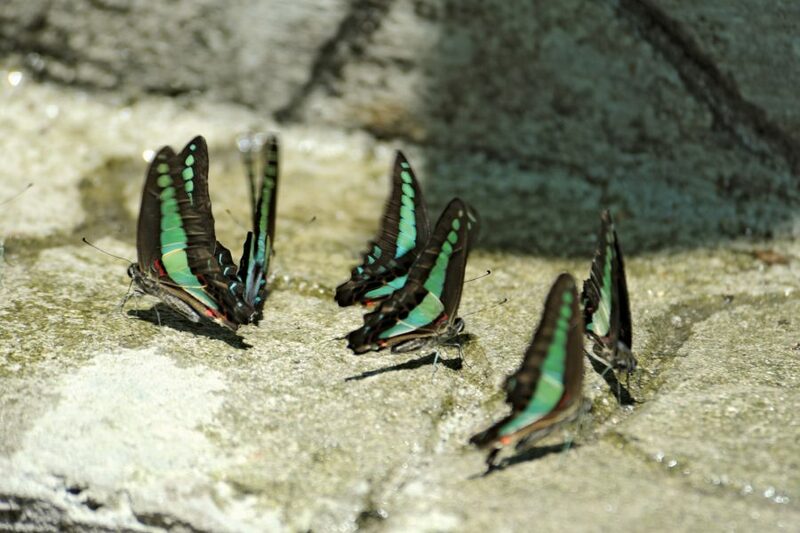 Penang Butterfly Farm is located at 830 Jalan Teluk Bahang, Teluk Bahang. It is about 3km away from the Tropical Spice Garden and around 5km away from the tourist filled Batu Ferringhi beach area. Penang Butterfly Farm is too known as the live museum of all butterflies. It features 150 different species of Malaysian butterflies and brings up to a total of 4000 butterflies in the farm. 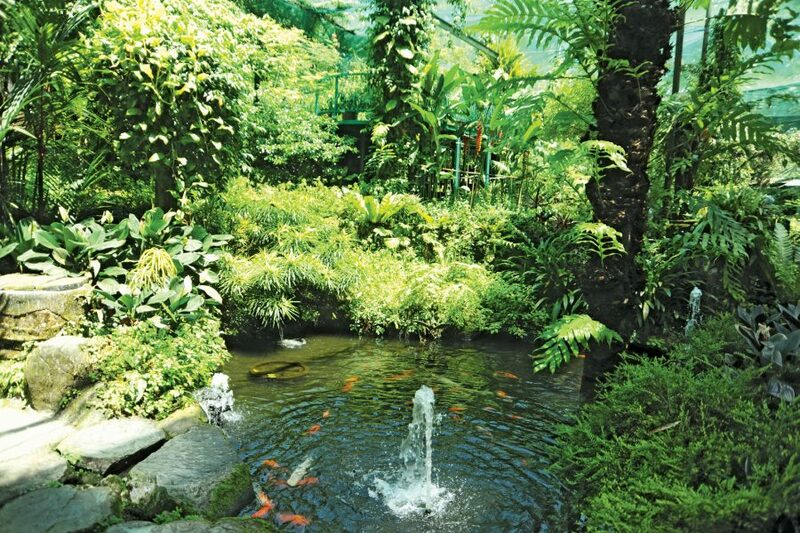 Throughout the years, Penang Butterfly Farm extended their exhibits with jungle insects and reptiles. This educational visit is best to go on a family day. The admission fee for adults is RM27.00 whereas it is RM15 for children who are from between the age of 4 to 12. Children below 3 years old are free of charge and RM13.50 for senior citizens (58 years old and above, proof of age required). 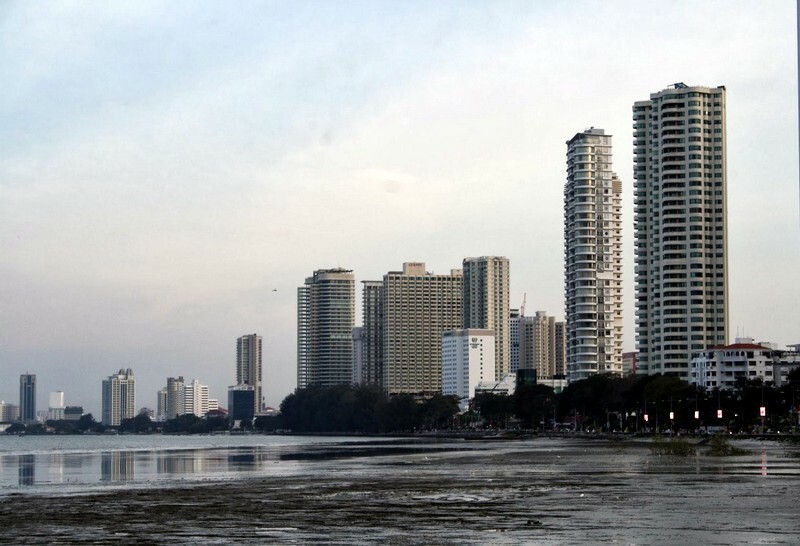 The centre of food haven and famous seafront in Penang – Gurney Drive Penang is located in the northern part of Penang, towards Tanjung Bungah. It is situated in Georgetown, the capital of Penang. 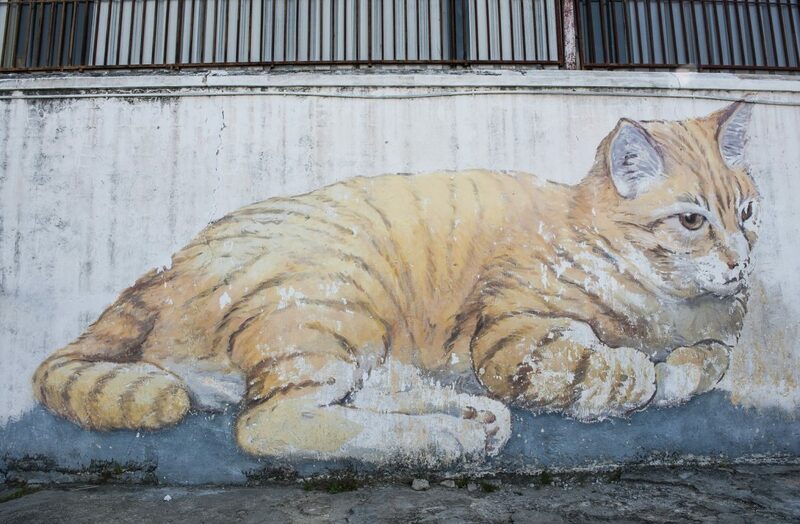 It is located approximately 2.1km away from Botanics Garden Penang. Gurney Drive Penang is one of the most popular places in Penang. The famous seafront is popular among tourists and too, locals. Redshanks can be seen everywhere, wadding in the water of Gurney Drive Penang. There are also other birds and mudskippers around. Besides the amazing breeze and scenic view, the Gurney Drive Hawker Centre is what attracts tourist as well as locals. They offer a large variety of local delicacies including Asam Laksa, Rojak and much more. 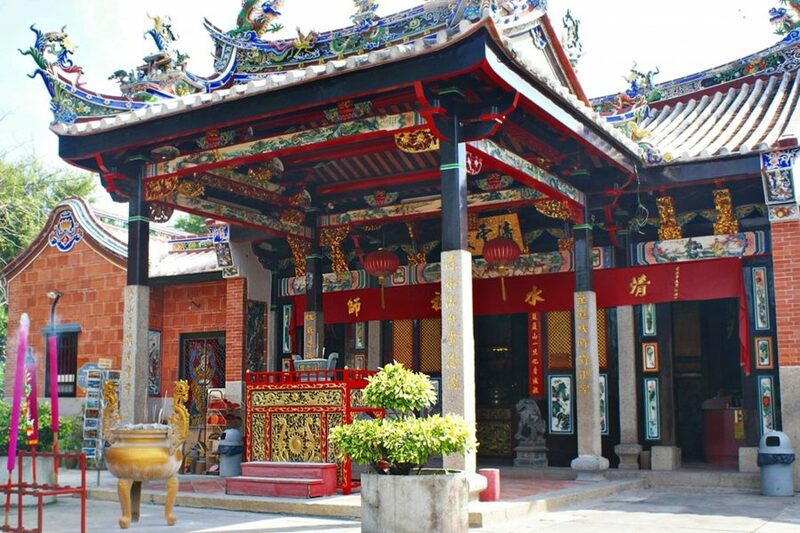 The Snake Temple or the Temple of the Azure Cloud is one unique temple standing on Penang Island. It is located at Jalan Sultan Azlan Shah, near to Bayan Lepas, Penang, Malaysia. It is located at the south side of Georgetown, on the way to the Penang International Aiport. 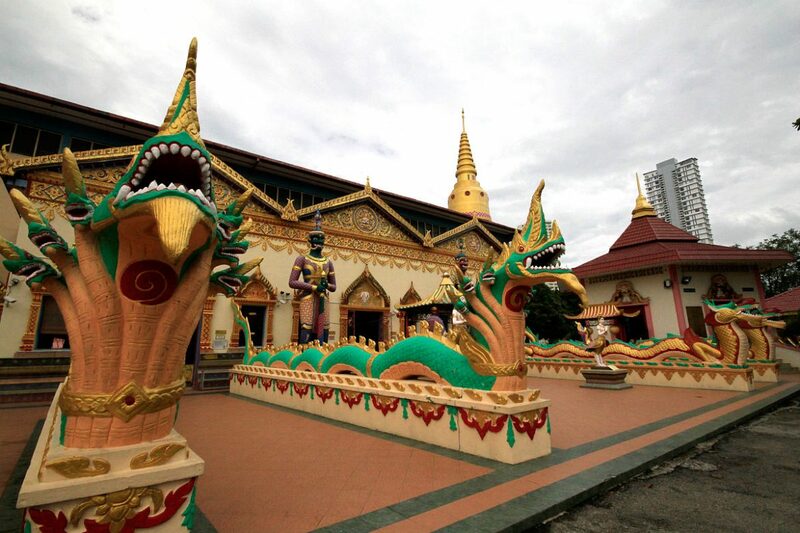 The snake temple is probably one of its own kinds in the world. 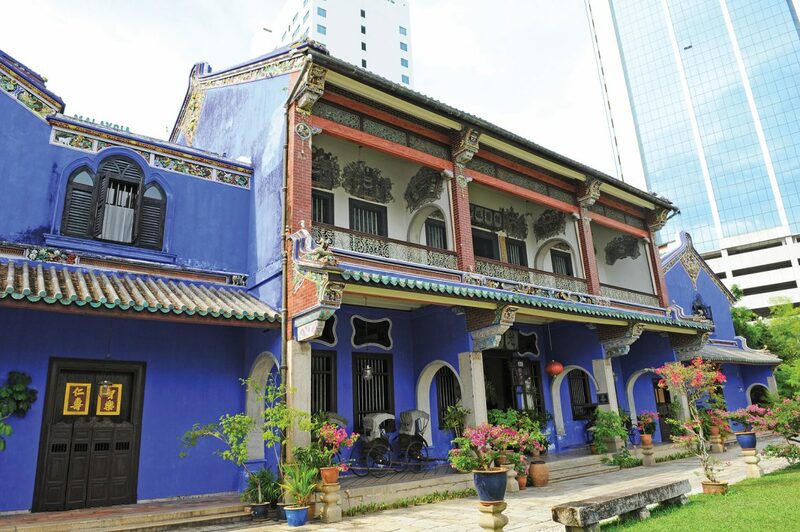 It was built in the year of 1850 in honor of a Buddhist monk who moved to Penang with a name of Chor Soo Kong. Legend has it that this monk is too, a healer. Apart from this snake temple, there are two more temples built in to honor Chor. They are the Chor Soo Kong Temple in Batu Maung and also Balik Pulau. There are many poisonous snakes coiling around the pillars or trees in the temple. However, visitors are not afraid to visit this very temple as the snakes are quite friendly it seems. Some say it is due to the smoke from the incese which made them drowsy. Besides visiting and praying in the temple, one can actually take picture with the snakes on their shoulder, of course, with the help of the keeper. One of the important landmarks in Penang Island is undoubtedly the Fort Cornwallis. Fort Cornwallis is located in the north eastern side of Penang Island, in Georgetown, the city centre of Penang. 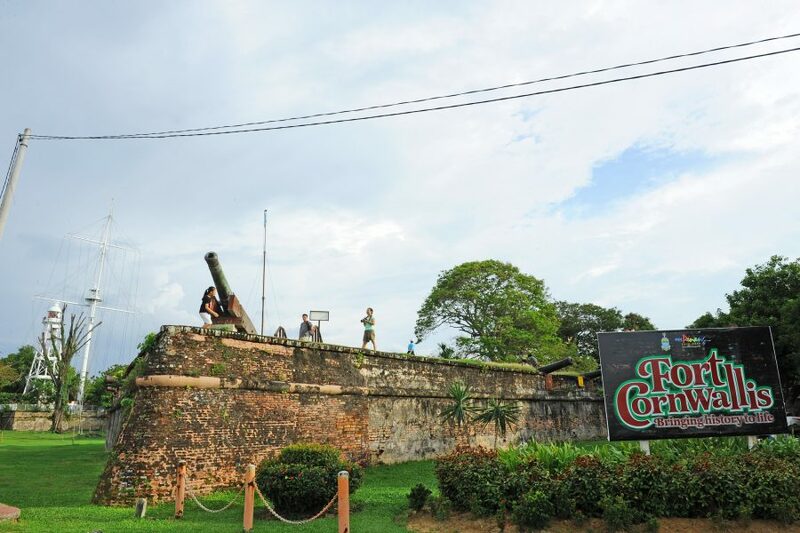 The fort is located on the edge of Central Georgetown, on Jalan T.S.S Barakbah off a street named Lebuh Light. It is situated near to Esplanade, right next to the Victoria Memorial Clock. Fort Cornwallis is one of the first European structures constructed in Penang. The fort walls have a rough height of 10 feet and it is laid out in a star like formation. It was built on the site where the historical Francis Light landed in the year of 1786. Originally, the fort was made out of a stockade by the trunks of nibong palms. Later, it was built up and the materials were replaced with bricks and stones. Fort Cornwallis was gazetted in the year of 1977 as an ancient monument that contributes to the historical side of Penang. 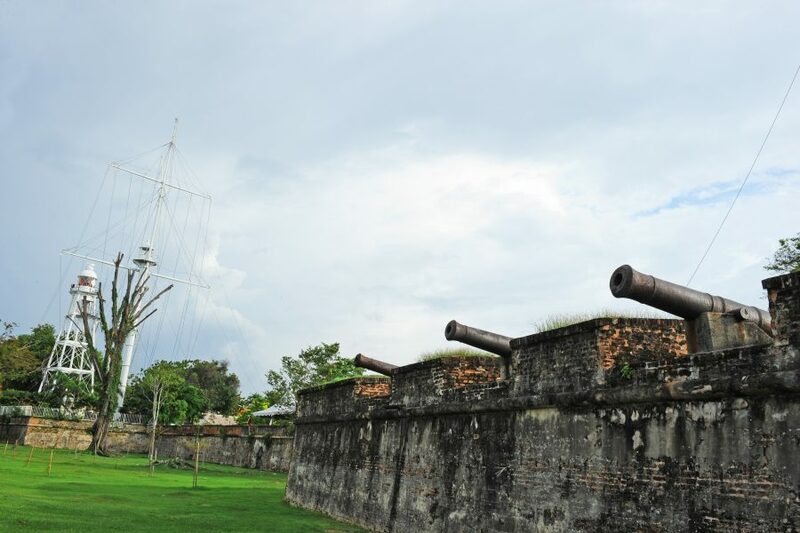 The fort was designed by Francis Light as a protective barrier from the French attacks, and also from Kedah and the pirates. 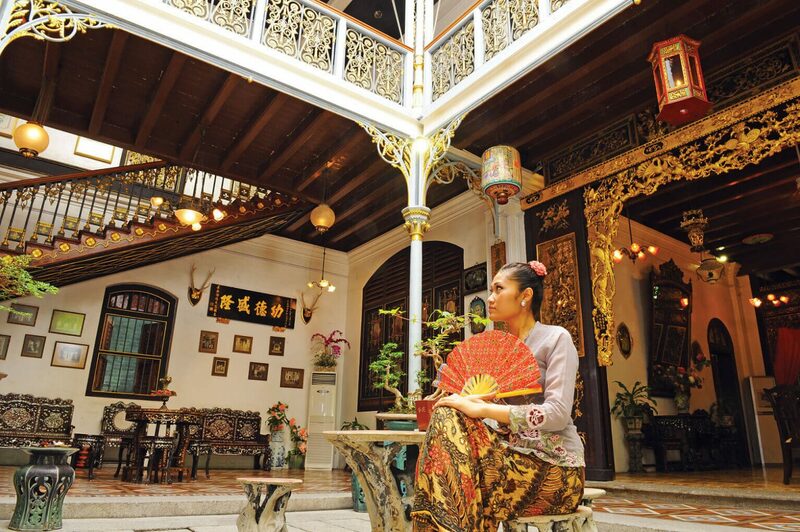 Cheong Fatt Tze Mansion Penang is located at 14 Leith Street. It is in the capital of Penang, Georgetown. It is situated near to most of the attractions in Georgetown. Cheong Fatt Tze Mansion was built in the end of 19th century. The outer wall of the mansion is painted with indigo-blue. It has 38 bedrooms with 5 courtyards. It was built according to the principles of Feng Shui. Now it is converted into a hotel which provides bed and breakfast as well as a guided tour in and around the mansion. 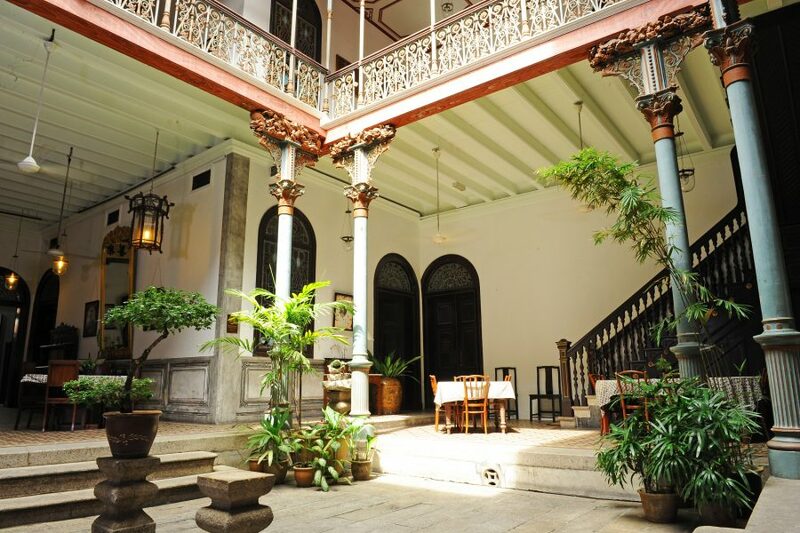 You can choose either to have a home stay in that historical building or only visit it as a guided tour. The guided heritage tour is informative and fascinating. This mansion has been featured in tv films, magazines and won countless awards throughout the years. 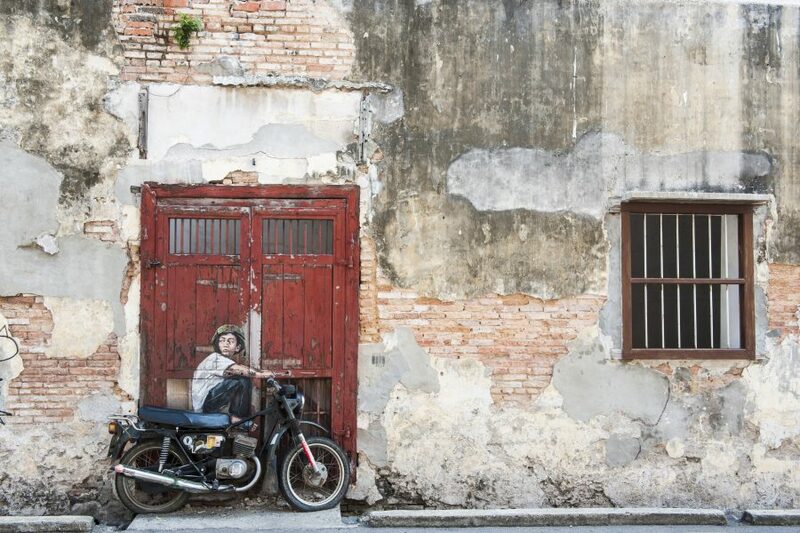 Making strolling through Georgetown’s streets just a little bit more exciting, in 2012 Penang’s municipal council hired London-trained Lithuanian artist, Ernest Zacharevic and charged him with breathing new life into some of the atmospheric Chinese shop-houses around the inner city. 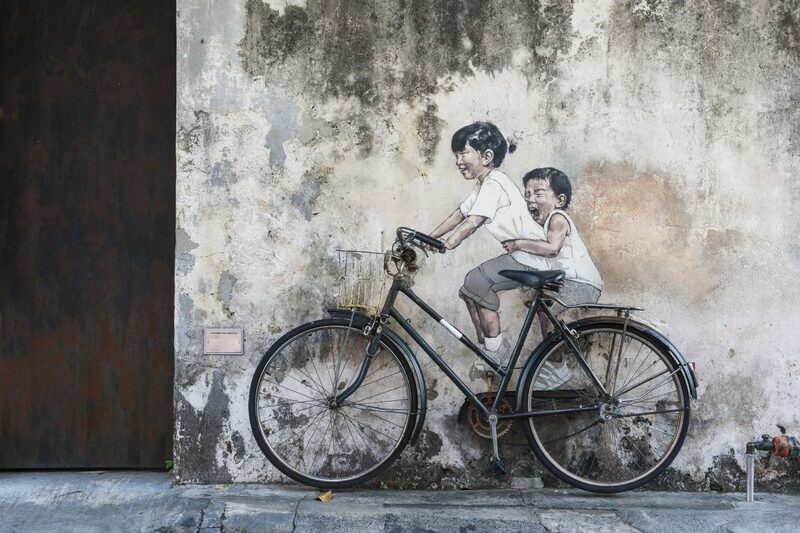 An effort to spawn awareness of the rich history of the streets, the project was a success with Zacharevic turning certain areas into thriving tourist destinations that also became the much-talked about object of attention among locals. 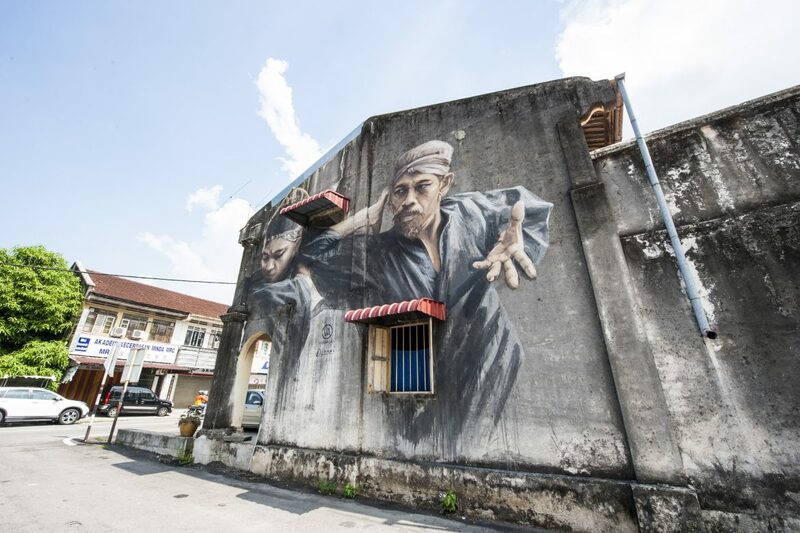 His artwork is spread out across Penang’s city centre, along roads like Muntri Street, Weld Quay, Lebuh Leith, Armenian Street, Ah Quee Street and more. 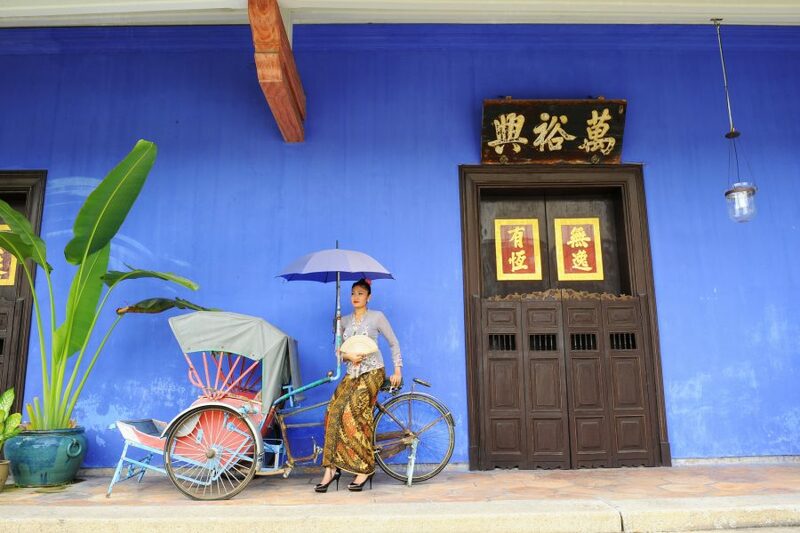 The Khoo Kongsi is normally known as a miniature clan village. 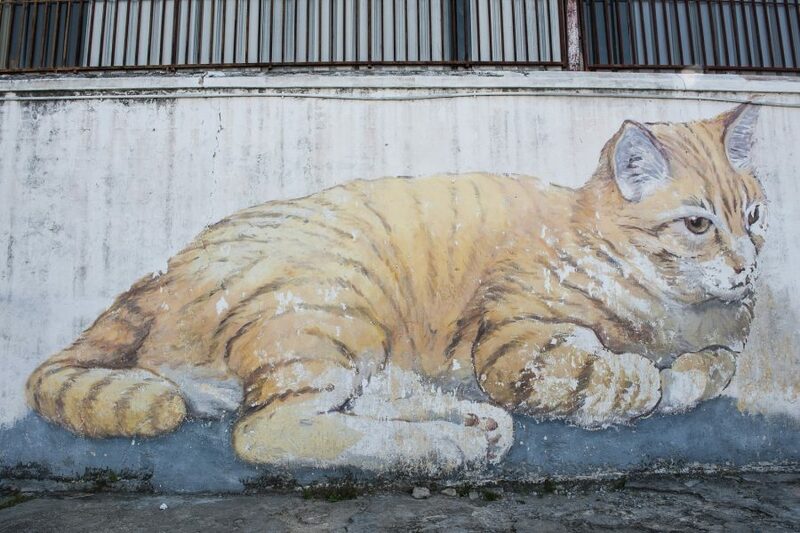 It is located in Cannon Square, Georgetown, Penang, Malaysia. The entrance of the Khoo Kongsi is at Lebuh Cannon, the side entrance for this clan temple is at Armenian Street (Lebuh Armenia) and there is one more entrance on Beach Street (Lebuh Pantai). Khoo Kongsi is a large Chinese clanhouse. 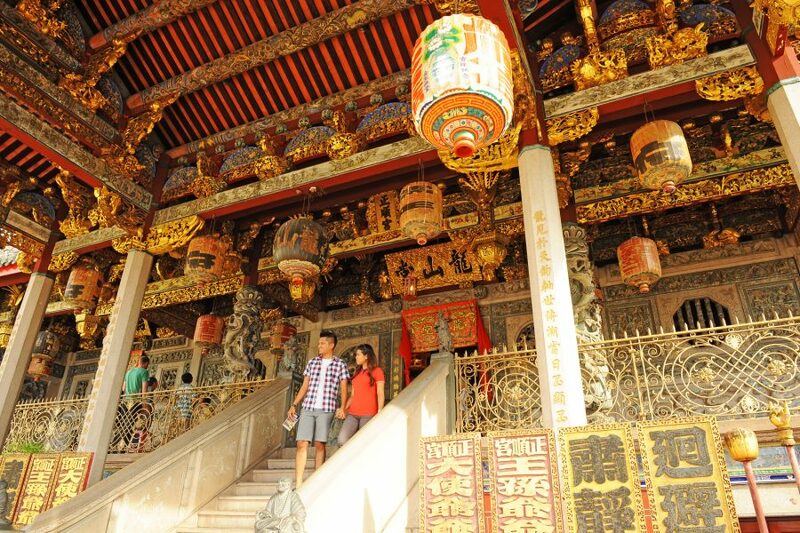 It is very famous as it is the grandest clan temple not in Penang, but the country of Malysia. It was built 100 years ago. It’s historic setting and architecture is what attracts the crowds of tourists. 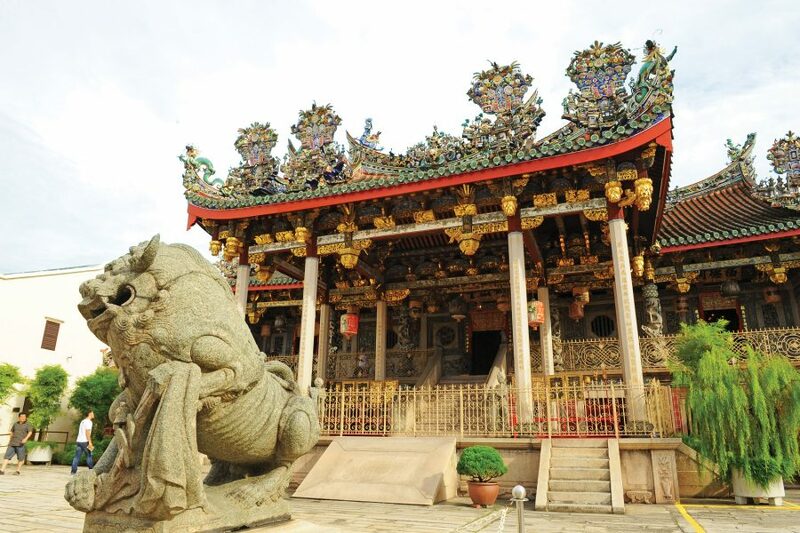 This clan temple is the setting that marks the first period of entry of the Chinese to Malaysia. There is a large courtyard, facing the clan temple. This is the venue of the popular and historic Chinese Opera. This event is normally held around one of the grandest festive season celebrated, the Chinese New Year.